The business daily Vedomosti has run an editorial about a possible ban on the supply of flowers from the Netherlands to Russia. The Federal Service for Veterinary and Plant Control (Rosselkhoznadzor) has already stated that it is highly probable. According to the head of the agency, Sergei Dankvert, “quarantine organisms” that could threaten the economy and agricultural production in Russia have been found in Dutch flowers. In May, the head of the organization Gardeners of Russia, Andrei Tumanov, said that the retail sales of flower seeds fell this year, while sales of vegetable seeds grew by 50 percent. Russians, who are starting to feel the effects of the economic crisis, prefer potatoes to flowers, Vedomosti concludes. “Flowers are the perfect symbol of values of self-expression, while potatoes stand for the values of survival,” writes Vedomosti. The market for flowers is growing steadily; in 2001, the world flower exports were estimated at $8.5 billion, while in 2013, they reached a volume of $20.6 billion. Today, most flowers are grown in South America (Colombia and Ecuador), India, Africa (Kenya and Ethiopia) and Israel. 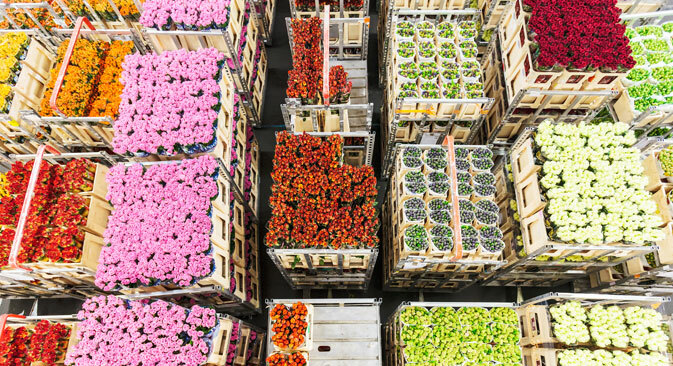 The Netherlands has become the main entrepôt for flowers from countries with more favorable climates, which account for 52 percent of world exports. Russian flower imports have grown steadily in recent years – from 2004 to 2013, Russia moved from 10th to 6th place in the list of the largest importers of flowers – but in 2014-2015, it stopped under the influence of devaluation (according to the Industry and Trade Ministry's estimates, this year's decline could reach 15-20 percent). At the same time, according to the estimates of economist Mikhail Dmitriyev, the attitude towards development that was formerly prevalent in Russian society gave way in 2014 to a focus on current consumption and minimizing risks. The Iranian parliament and U.S. Congress have begun to study the nuclear agreement, which they will have to approve or reject at the end of a 60-day period, writes the business daily Kommersant. “The vote in the two parliaments will not be a mere formality; the opponents of the deal will be looking for any argument to play back the situation, accusing the architects of the agreement of surrendering national interests,” writes Kommersant. Although there are many influential opponents of the agreement in both capitals, their chances to torpedo the deal are slim, the newspaper notes. In Iran, the supporters of the agreement have already enlisted the support of the Supreme Leader of the Islamic Revolution, Ayatollah Khamenei, while U.S. President Barack Obama has the right to veto the decision of the legislators, Kommersant explains. However, according to the expert, it is unlikely to derail the agreement. “Real difficulties may begin later – during the execution by the parties of the provisions of the action plan,” said Baklitsky. The daily broadsheet Izvestia reports that Russian parliamentarians are proposing to file counter-claims with the European Court of Human Rights (ECHR) against Ukraine to demand compensation for economic damage to Russian citizens caused by the introduction of sanctions, as well as moral damage inflicted on the residents of Russia’s border regions who have to suffer from the “hostile actions” of their neighbors. In addition, the State Duma deputies are offering to provide legal support for everyone who wishes to turn to the ECHR. “Ukraine is constantly putting forward claims against Russia about losses; it suffers them as a result of its internal conflict, of which it accuses Russia,” Senator Mikhail Marchenko told Izvestiya. “But the Russian Federation has suffered significant losses in this situation, too. They include the sanctions, which harm ordinary citizens and Russian business, and a humanitarian catastrophe, which has forced our border areas to receive hundreds of thousands of refugees,” he said. The experts interviewed by Izvestiya believe that lawsuits from Russians have few prospects, but they need to be brought to state the position of Russia.